Rather than working with the EU, Oracle contacted hundreds of customers and asked them to write a letter of ‘unconditional acceptance’ to the EC. 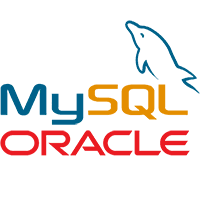 A strong MySQL has few benefits, whereas a weaker MySQL could be worth more than one billion dollars to Oracle. Oracle had not made any promises to keep all of MySQL under an open source license, retain current support pricing structures, regularly release new editions, work with the community, or add features that could make it more competitive with enterprise databases. Oracle’s begrudgingly updated the InnoDB engine and Sun eventually forked the project. To maintain and enhance MySQL’s Pluggable Storage Engine Architecture and documentation. Change Sun’s current policy so third party storage engine vendors will not need to release code under the GPL. Offer commercial license holders an extension of their agreement with Sun under the same terms and conditions until 2014. Continue to enhance MySQL and create subsequent versions under the GPL. The Enterprise and Community editions will receive the same enhancements. Oracle support services will not become mandatory. MySQL research and development funding will be increased. Within 6 months, Oracle will create and fund a customer advisory board which includes end users and customers. It will provide guidance and feedback on MySQL priorities and other important issues. Within 6 months, Oracle will create and fund a Storage Engine Vendor advisory board to provide guidance and feedback on MySQL priorities. Oracle will continue to maintain, update, and provide a freely-available MySQL Reference Manual. Customers paying for support will be able to renew their subscriptions on an annual or multi-year basis. Florian Mueller, an adviser to Michael Widenius, called Oracle’s statement “cosmetic”. However, EU Competition Commissioner Neelie Kroes stated she is “optimistic that the case will have a satisfactory outcome” and Oracle’s commitments were “an important new element to be taken into account in the ongoing proceedings”. It’s possible the EU will want further guarantees, but the Oracle-Sun deal appears to have a greater chance of succeeding. It could occur before the year end. Are you reassured by Oracle’s statements? Do you share Michael Widenius’ concerns?